Are you wondering, why does my toilet make noise when not in use? Having to constantly listen to a loud toilet can become quite annoying, but more importantly, it also means that there’s something wrong. Although diagnosing this issue may seem like a complicated process, it really doesn’t have to be. There are several things that could be causing your toilet to make either a gurgling noise or a loud noise, but the three most common reasons include calcium deposits that have accumulated over time on the inner portion of the pipes, faulty fill valves, or leaky toilet valves. If you’re unsure whether or not the problem is calcium deposits, you’ll want to begin by inspecting the area. If you see white deposits attached to the outside of your pipes and toilet fittings, then you know that they’re also on the inside as well. When calcium begins to build up on the inside, they can clog the pipe or reduce the flow. This in return can cause noise. 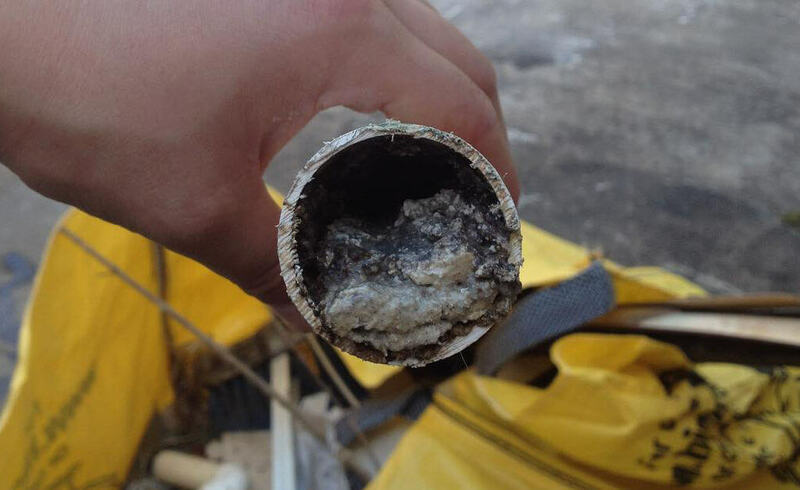 An example of blocked waste pipe, proves how bad it can actually get. High Powered Steam: High powered stream is a great tool for removing these little deposits. The steamer helps loosen and break them up. The steam also can help soften them up and allow them to break off easier. High Powered Water: Just as with the high-powered steam, the high-powered water can break them apart. However, it important to point out that you need to be careful how much pressure you apply. Too much pressure can break or crack your pipes. Cleaners: There are several cleaners you can run through your pipes. Some of these include phosphoric acid, glycine, and barium nitrite. These chemicals slowly break down the deposits. On the other hand, if you’re looking for something a little more natural, you can also use white vinegar. White vinegar can melt off the deposits, but it’s a slow process. As a side note, to prevent the build-up of calcium, you’ll want to make sure that you clean the fittings and the surrounding pipes regularly. It doesn’t take long for the calcium to build-up and start causing problems. 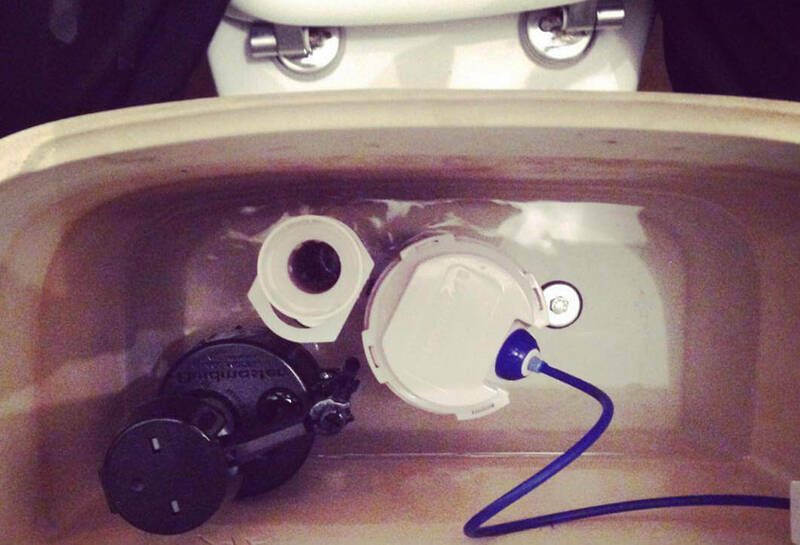 A leaky valve is another reason your toilet may make noise when it’s not in use. Why? The toilet has to continuously fill up the tank when it’s losing water elsewhere. As a result, the toilet will not stop making noise and leaking water. The easiest way to know whether or not this is the problem is by simply getting down and inspecting your shutoff valve. You’ll want to look for leaking or any sort of moisture. While you’re down there, also look for corrosion, rust, and like mentioned above, calcium deposits. If you do in fact notice rust or corrosion, you’ll more than likely have to replace the valve along with the surrounding pipes. Homeowners with little experience in this area should call an expert to complete the repairs. Most contractors use the cheaper shutoff valves under toilets and sinks. They will most likely fail over time. So, how do you stop a valve from leaking? First, you’ll want to equip yourself with a pair of standard plyers. Now, try and tighten up the packing nut located on the shutoff valve. Make sure that you turn it clockwise and you do it slowly to prevent damaging the water lines. If the nut was loose, then this was most likely the problem. However, if the bolt is tight, and you still notice that it leaks, or it makes noise, then you’ll know that the problem is else where. If after you’ve checked for calcium deposits and a leaky valve, your toilet is still making noise when not in use, you’ll then want to check and see if it’s the fill valve. The fill valve can also cause your toilet to continuously make noise when its not working properly. One way to know if this is your problem is to see if your tank refuses to fill up all the way. If this is the issue, you’ll want to replace this valve. Again, if you have no experience, it may be best to call a professional. If on the other hand you do want to fix it my yourself, you’ll want to start by removing the lid of the tank. Once you have taken the lid off, located the shut-off valve and turn it off by twisting the valve clockwise. Now, you’ll want to drain as much of the water out of the tank as possible. You can do this by simply flushing the toilet. Make sure that you hold the handle a little longer than usual though. This will help drain it. The idea here is to get pretty much all the water out of the tank. You can also use a cup to remove the rest of the water. Once you have all the water removed, locate the water supply tube and disconnect it from the fill valve. You should be able to complete this with a pair of plyers. After you have disconnected this, you’ll now need to find the lock nut located on the underside of the toilet. It’s what holds the fill valve in place. After you have unscrewed the nut, pull the old fill valve out, insert the new one, and screw the nut back in. From here, simply reattach the water supply tube and turn the water back on. You’re good to go. If your toilet is still making noise when not in use, then it’s time to move on and check a few other possible solutions. The first thing that you’ll want to check is the condition of the flapper. You’ll need to take off the toilet lid to do this. A worn or faulty flapper could be the reason why your toilet is making noise when not in use. If the flapper is not working properly, it can cause your toilet to constantly run and even waste several gallons of water. Fixing a bad flapper is not a tough job though. With the toilet lid off, you’ll want to locate the flush handle and unclip the flapper chain from it. Once this has been disconnected, pull the flapper by it’s ears off the knobs of the flush valve tube. Most plastic flappers snap off while rubber ones tend to slip off. Take your new flapper, configure the ears to the most appropriate position for your toilet’s design, and attach to it the flush valve. You’ll also have to attach the new chain to the flush handle. This will involve sizing up the chain to ensure it’s the right length for it to work properly. Now that you have installed your new flapper, put the lid back on your toilet and reconnect the water. When the tank fills back up, test it out and see if your toilet still makes noise when not being used. If it does, then the last thing you’ll want to check is to see if the toilet handle is stuck or broken. If your toilet’s handle is in fact stuck or broke, it can cause your toilet to constantly run. To repair the handle, you’ll want to shut the water off and remove the lid of the toilet. Once removed, drain the water in the tank. This will give you the ability to work on it. For handles that are old or are stuck, you can spray some WD-40 or another lubricant to get it working again. Make sure that you get it properly sprayed before you begin putting pressure on it. This will keep it from breaking. On the other hand, if your toilet’s handle is broken, it’ll need to be replaced. To do this, you’ll want to equip your self with a pair of plyers and locate the nut that holds the handle firmly in place. This will always be on the inside of the tank. Once the nut has been unscrewed, you will need to unclip the broken handle from the flapper pull it outward. Insert your new handle and screw the nut back on. The easiest way to do this is to first screw it on with your fingers and then tighten it up with your plyers. After you have finished tightening it up, put the lid back on, turn the water on, and give it a test. If you have completed all this and you still hear a gurgling noise or a loud noise when your toilet is not in use, you’ll more than likely need to call a professional for additional assistance.